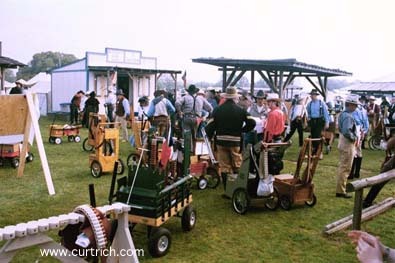 Trailhead is one of the oldest annual matches in the U.S. 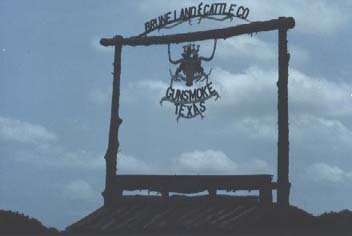 It is held at Gunsmoke, Texas every March. 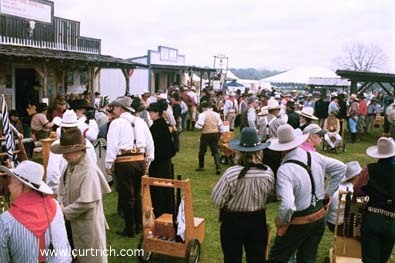 It is put on by the Texas Historical Shootist Society, and the main match sponsor is Marlin Firearms. It draws a lot of people. This year it drew 317 shooters. If this didn't make it the biggest shoot to date in Texas, then I missed the biggest one. These are scenes of the Friday morning meeting. The buildings on the right side of the street as we're looking now, are the shooting range, some indoor, some outdoor stages. Exciting, realistic. The club officers are giving the morning briefing. 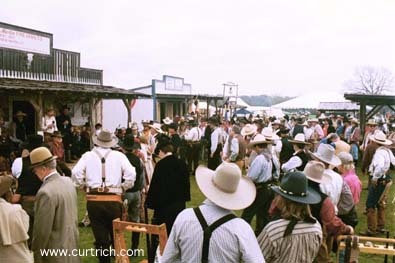 The match was dedicated to "Seldom Seen," (Finn Agaard), a long time member who passed away last year, and Thurrman Brune, who passed away, too, upon whose land Gunsmoke sits. 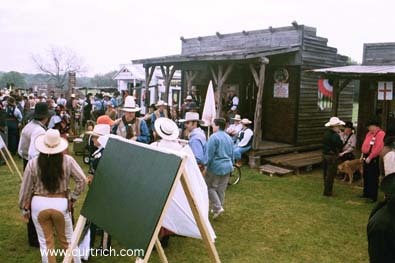 Someday there'll be a Fort Finn at Gunsmoke, Texas. 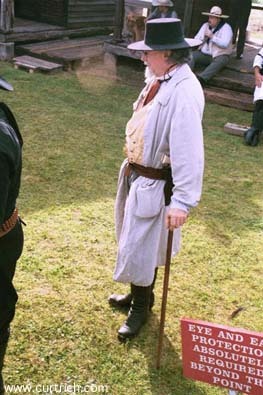 Major Ned Prentiss dresses with style and shoots black powder cartridge with style, too.